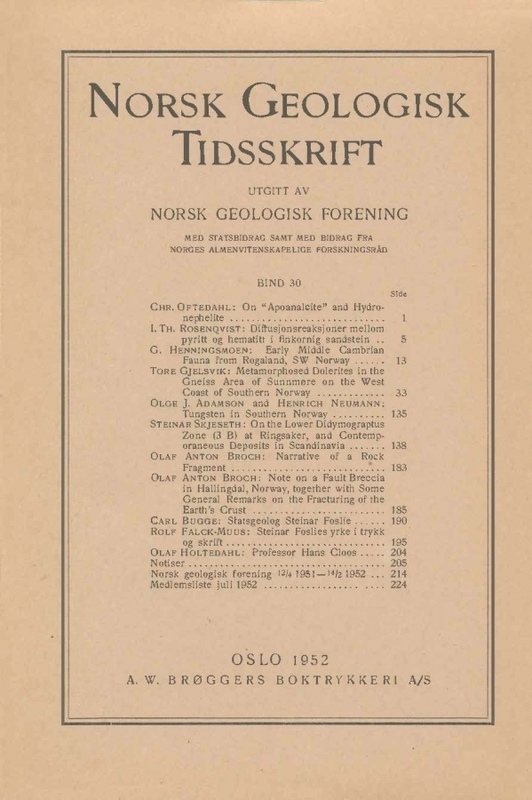 Some twenty years ago the author discovered a quartz breccia at Haga seter (chalet) in the pre-cambrian area south of Ål, Hallingdal. Air photographs (figs. 1 and 2) taken some time later revealed that the breccia belongs to a marked fracture line running SSW-NNE, parallel to vhe upper part of the valley of Hallingdal ( maps figs. 3 and 4). This was soon afterwards confirmed by Ivan Th. Rosenqvist, who at the author's request undertook a geological survey (mapping) of the surrounding area.